If you are in the process of upgrading to Windows 7 (64-bit) and are still using Civil 3D 2009 you might notice files take longer to save. In this example we are saving a 65mb file (very large file). 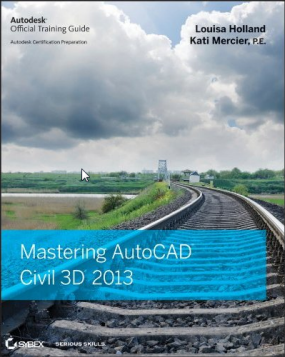 To save the file to the C: drive with Civil 3D 2009 on Windows XP it takes 45 seconds. Whereas, with Civil 3D 2009 loaded on Windows 7 the same file takes 1.5 minutes to save. So essentially, the file takes twice as long to save. I have no idea why it takes longer to save, it just does. Also note, C3D 2009 is not officially supported on Win7. However, there is a light at the end of the tunnel. 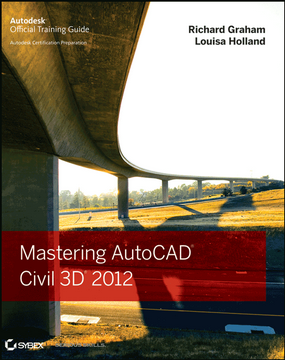 Civil 3D 2011 (64-bit), with ISAVEPERCENT set to 50% – after the 1st two saves – only takes 15 seconds to save the file. So essentially it takes 1/3 of the time it took C3D 2009 to save on XP; an increase in proficiency. After the jump see some more save-time results. Including over the LAN and WAN (w\ Riverbeds). Saves were made on the C: drive (local). The same file was used for all the below tests (65mb file, exceptionally large file). No changes were made to the file between these saves and ISAVEPERCENT was set to 50% in AutoCAD. Average = (0:13) – saves are a consistent 15 seconds. A 1:30 minute improvement over C3D 2009 (600%). Saves were made to the local network (LAN). The same file was used for all the below tests (65mb file, exceptionally large file). No changes were made to the file between these saves and ISAVEPERCENT was set to 50% in AutoCAD. Average = (0:30) – consistent 30 second saves. A 1:00 minute improvement over C3D 2009. Saves were made over Riverbed products (across WAN). The same file was used for all the below tests (65mb file, exceptionally large file). No changes were made to the file between these saves and ISAVEPERCENT was set to 50% in AutoCAD. Average = (2:06) – an approx. 1:10 improvement from C3D 2009 to C3D 2011. If anyone else has some test times, post’um. I would love to compare notes. I ran some test on these methods of improving save time. I don’t have the exact numbers, but there is a significant difference. I’m sure most of you know these methods already. Is there a way to get this big file available for download so I can test this with Vista x64? Maybe just use one of your large files and run the same tests. That would be comparable in itself and against ours. Just an order of magnitude longer or short depending on the file size (assume linear relationship).